With yet another installment of the Seekers Haunting series premiering this weekend, Prozak has been very busy to say the least. Local Flint/Saginaw news station ABC12’s Rebecca Trylch caught up with Prozak as he showed cameras around Potter Street Station and gave some insight into the making of his latest film, A Haunting On Potter Street, including its goal to raise money for a good cause. Between unexplained apparitions and a morbid history, A Haunting On Potter Street is sure to be the most frightening chapter in the Seekers series yet. 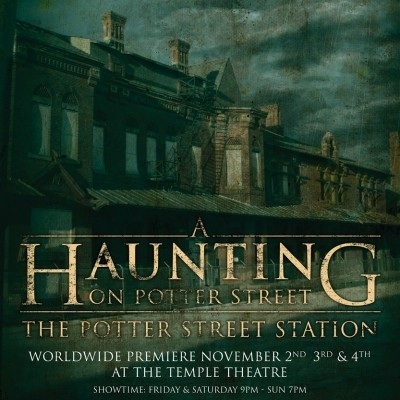 A Haunting On Potter Street premieres live at the Temple Theatre in Saginaw, MI November 2nd – 4th! Everyone in attendance will receive a copy of A Haunting On Potter Street on DVD.